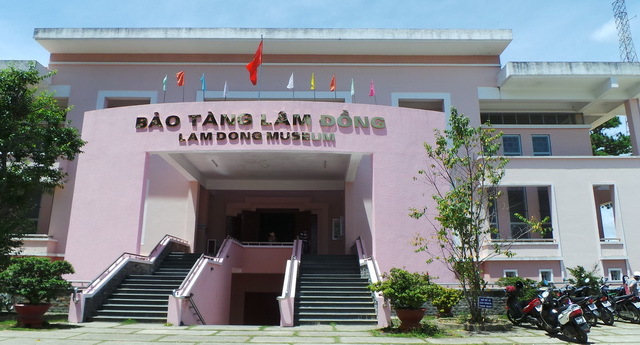 Location: Lam Dong Museum is located on a high hill at No. 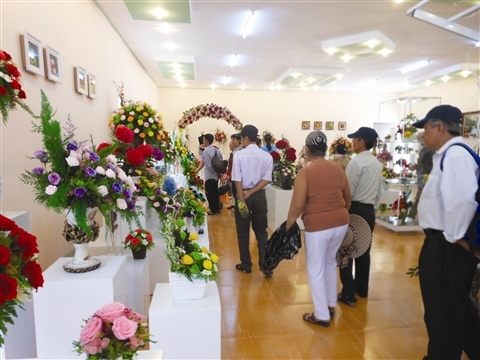 4 Hung Vuong Street, approximately 3km from the center of Dalat city to the northeast. 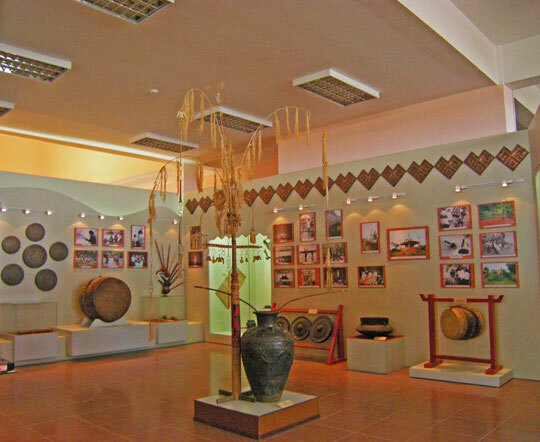 Features: Lam Dong Museum displays many traditional artifacts and local history, especially those artifacts representing the cultural traditions of Lam Dong province. 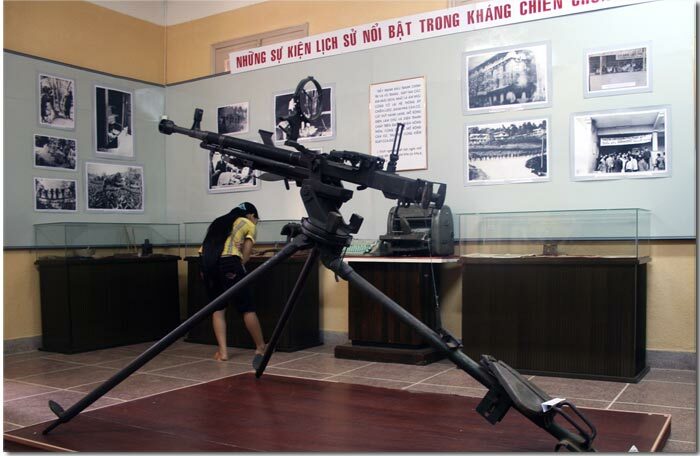 Lam Dong Museum is responsible for collecting and introducing research findings on archaeology, ethnography and the objects of the two resistance wars of Lam Dong province. Lam Dong Museum, also known as “Love Path”, is formerly located at the former mayor’s palace on a very high romantic winding hill. 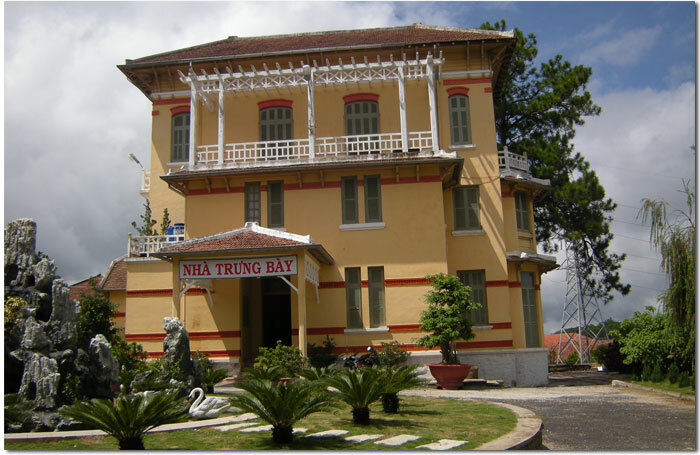 Since October 1990, the museum was closed after it had been transferred to the military, and it continued to resume on December 12 1996 at Nguyen Huu Hao Palace, which is used to be “a gift” for his daughter, Queen Nam Phuong. 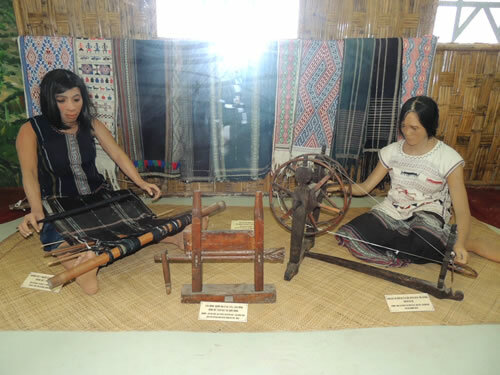 Diversifying activities to attract more tourists’ attention is one of the most important projects of Lam Dong Museum in the near future, so that it’s going to gradually shape as a center of cultural activities. Four-stilt houses of the Ethnic groups like Ma, K'Ho , Churu will be displayed beside a number of traditional handicraft activities such as making pottery, weaving or organizing buffalo-stabbing festivals, gongs performance, pipe-wine drinking, etc on special occasions. 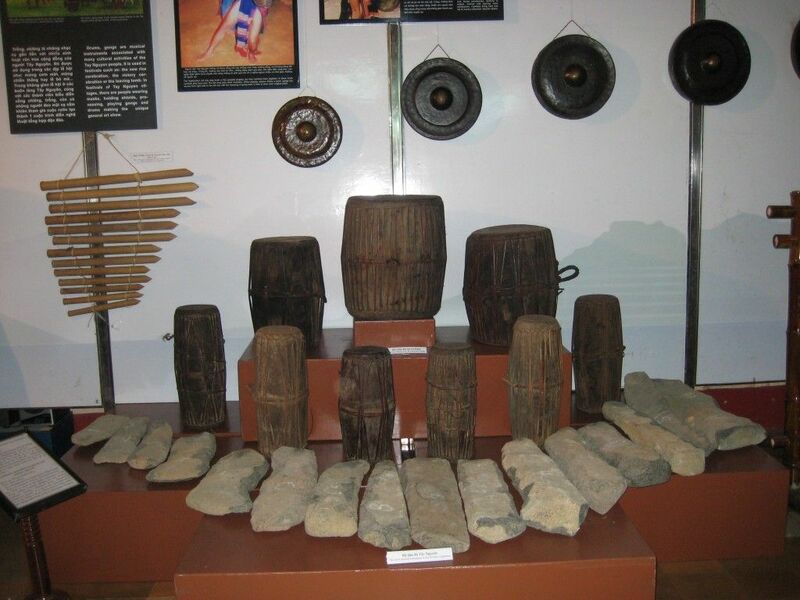 Moreover, tourists can directly witness the rocky ancient Di Linh, B'Lao instruments with their dates of 3,000- 3,500; architectural monuments P'Roh (Don Duong), and Cat Tien (Cat Tien district); archaeological sites excavated from the tombs of native people in Dai Lang (Bao Lam district), Dai Lao (Bao Loc city) and Da Don (Lam Ha district). 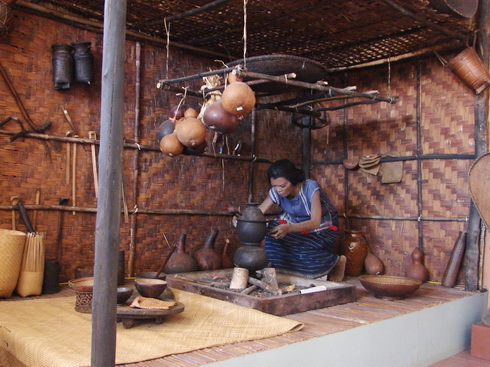 The museum gathers such a quite rich collection of nearly 10,000 items made from pottery, porcelain, copper and iron which are valuable in the Southeast Asia. Lam Dong Museum management board has been trying their best to make it more and more special.